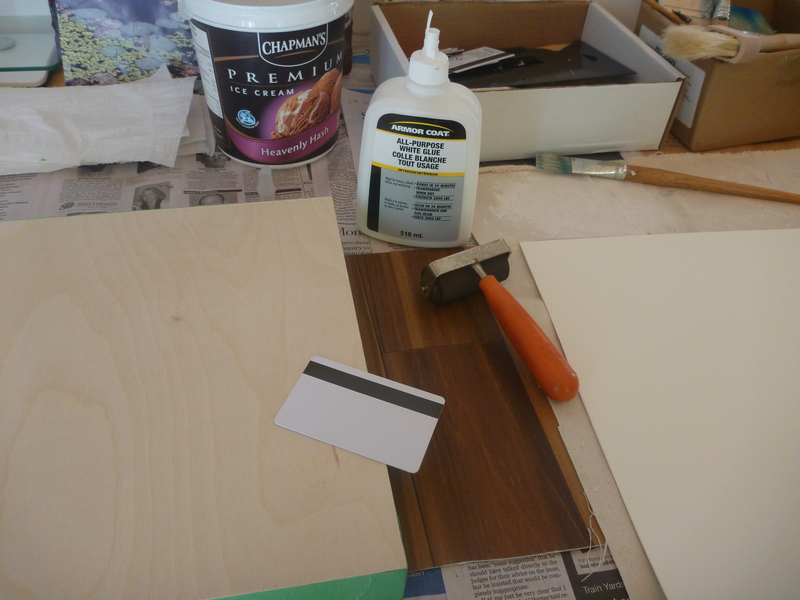 I use a scraper to move the glue all across both surfaces and then attach the paper onto the panel. The roller is used to roll the paper after it is glued. I put a heavy book onto the panel and leave it to dry overnight.